Our kids class meets on Saturday mornings, from 11:45am – 12:45pm. Children in our program learn the basics of Aikido, including etiquette, in a relaxed and fun environment. Aikido is learned cooperatively, rather than competitively. New students may start at any time. We invite you to bring your child to observe class. Parents are encouraged to join and learn alongside their children. For children under 7 years of age, we require that an adult join and participate in class with that child — one adult (or teen) per child under 7. 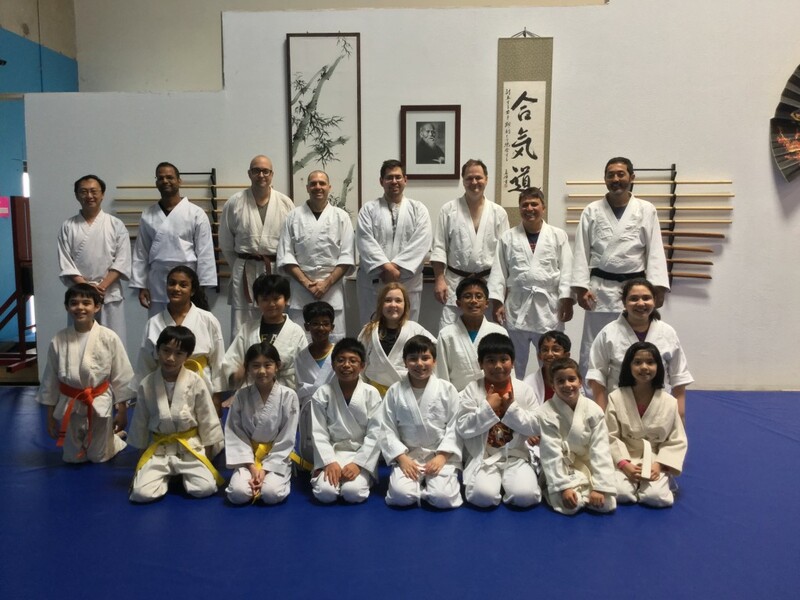 Our kids class, their instructors and parents, April, 2016.